"I bought a new Samsung Tab and want to install some applications to it. But I don't feel like downloading the apps one by one in the tablet. Is there some software that can let me install apps to my tablet in a batch? I think this is the most time-saving way to do it. I couldn't be more thankful for that if you recommend some useful programs." -- From Samsung Mobile Device Forum. If you have a Mac computer, I guess you would edit your photos and videos on it after you took some photos or recorded some videos. And then you may want to import them to your Android phone or tablet for further viewing. As for the apps, you may come across the same situation like the user above. 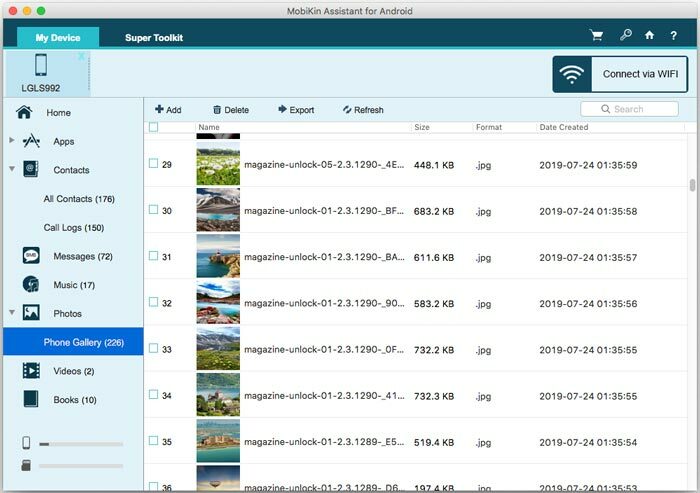 That leaves a question to you - how to sync apps, photos and videos from the Mac to your Android devices? Fortunately, this article offers a nice solution to it. Now let's see the way to transfer data from Mac to Android smart phones and tablets. 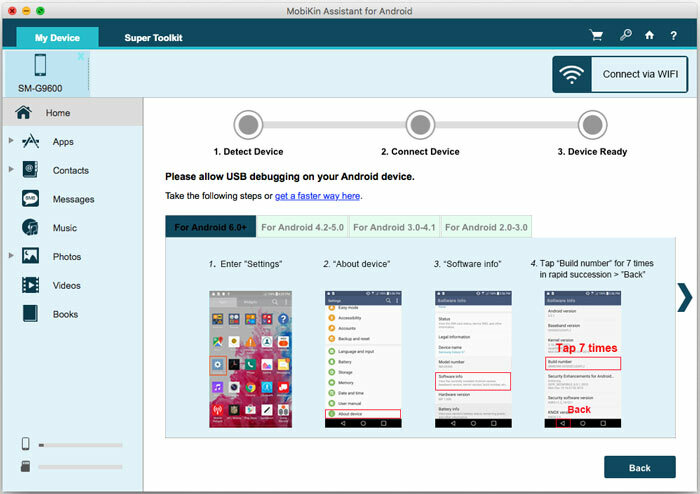 Here we kindly recommend the MobiKin Android Data Transfer for Mac. It is an all-around, multifunctional tool safe and 100% risk-free. You can rely on it assuredly. With it, you can transfer data from Mac to Android smart phones and tablets effortlessly. These transferrable data include apps, videos, books, contacts, and text messages and so on. The detailed Android smart phones and tablets such as Samsung Galaxy Note/S 4/3/2, Sony Xperia Z3/Z2/Z1, HTC Desire/EVO/One, LG G3/G2, Motorola X Pro/X, Nexus 7/6/5, HUAWEI and ZTE, etc. are compatible with this transfer software. Now you can get the free trial version to try first. What's more, this program also has a Windows version. If you are a Windows version, you can switch to the Windows version instead. Link your Android to the Mac computer and then launch the program. Then enable USB debugging first. Just follow the steps below. 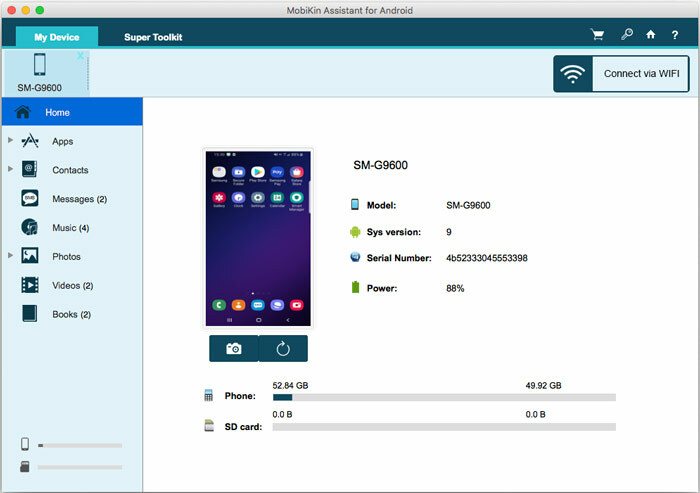 When the detection is done, you'll see a window pop up like this, showing everything about the Android phone on the main interface. Select the "Photos" category and "Phone Gallery" on the left column. The specific photos will be displayed on the right panel. Then you can check the items you want to transfer to your Android phone and click the "Add" button on the menu. 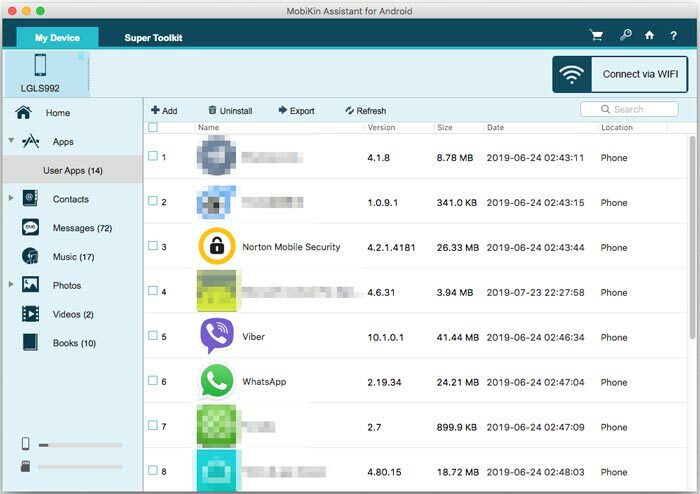 Other data like apps, contacts, SMS and Books can be transferred between Android and Mac.